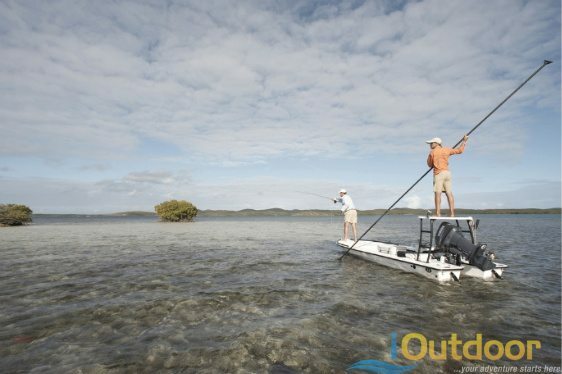 Palm Beach offers some of the best FLATS light tackle and fly fishing found anywhere! Reds, Bonefish, Permit, Snook, Trout, Shark and Tarpon- Ohh Yeah! Palm Beach and its surrounding waters are known for the BIGGEST BONE FISH! These fish put up a fight like no other! Each year many Bones exceed 10 lbs or larger- which on average is bigger than anywhere else in the WORLD! Bonefish offer a thrill of a lifetime- the first run is long and torrid, and each run after seemingly gets longer! These fish don’t give up! Bone fish are not alone in these waters- How about catching a SHARK with a FLY rod! Have you heard of such a thing! It happens every day in Miami’s flats- see for yourself! Maybe you want to try for the “hat trick”- Bonefish, Permit and Tarpon! Whatever your line may pull in- it will be an experience you will not forget! Call iOutdoor today to save your spot on the best Flats Fishing Palm Beach has to offer! Palm Beach’s finest Captain’s and Crew’s are motivated to show you the best fishing experience. Because there are so many options in Palm Beach, call us to find out which is best for you! iOutdoor Flats Guides are driven to provide you the best and most successful Flats fishing experience that can be provided. First and foremost, your safety is of utmost importance. All of iOutdoor’s Captains and Crews are professional, experienced, and Coast Guard Certified. Flats Guides are selected based on their knowledge of the area and their fishing success, safety at sea and the condition of their boat and equipment. Our Palm Beach Flats charters will have all the fishing tackle, license, bait and gear required catch the trophy fish you want. If you have a special lure or fishing rod you would like to use, bring it along! We want your Flats fishing trip to be a safe, successful, and exciting adventure that you will enjoy telling your friends and family about -with the pictures to prove it!Get your Flats Fishing adventure started NOW! Experienced Flats Guides are standing by. Simply fill out the form on this page or call 1-888-412-1117. iOutdoor friendly and knowledgeable staff will answer any questions you may have; including: where to stay if overnight is necessary, what fishing areas will yield the results you are looking for, appropriate boat size, etc. Whatever your needs may be to make your Flats adventure a success, iOutdoor will make it happen! 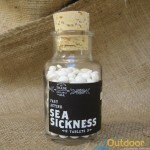 Even though you may not be roughing the deep seas- some anglers can still suffer from sea sickness on a flats adventure. 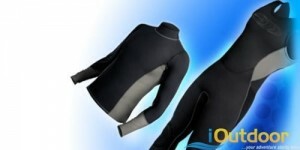 If you feel you would be or are prone to seasickness, take the necessary precautions. and talk with one of our reservation anglers to book your Flats Fishing Miami trip. 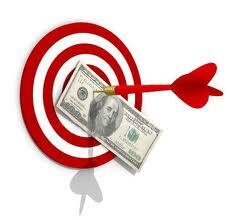 iOutdoor requires a small deposit of $50 at time of your reservation. If you must change or cancel your reservation, it must be done 24 hours prior to departure date. Call us at +1 (888) 412-1117 and let’s start planning your Flats Fishing Miami trip!